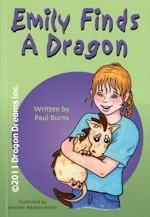 Dragon Dreams is a small press publisher that began publishing cross stitch patterns in 1993. In 2008, the company expanded to include books. 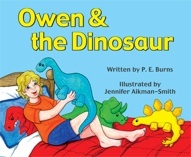 The first was the picture book Owen and the Dinosaur, written by Moncton author P.E. Burns. A chapter book for grades 4-6 with this author was released in the summer of 2011. Emily Finds A Dragon was one of 20 books nominated for the 2013 Hackmatack awards and is being read by children at participating schools around the Maritimes. We specialize in helping determined authors with quality stories get their book into readers’ hands. Please check our Submission Guidelines page for more information. We also offer a wide range of consulting/graphics and editing services to help authors or illustrators figure out the next step for their work. For more information, please contact Jennifer Aikman-Smith at Dragon Dreams Inc.
All artwork, information and illustrations on this site are © Dragon Dreams Inc 2013.